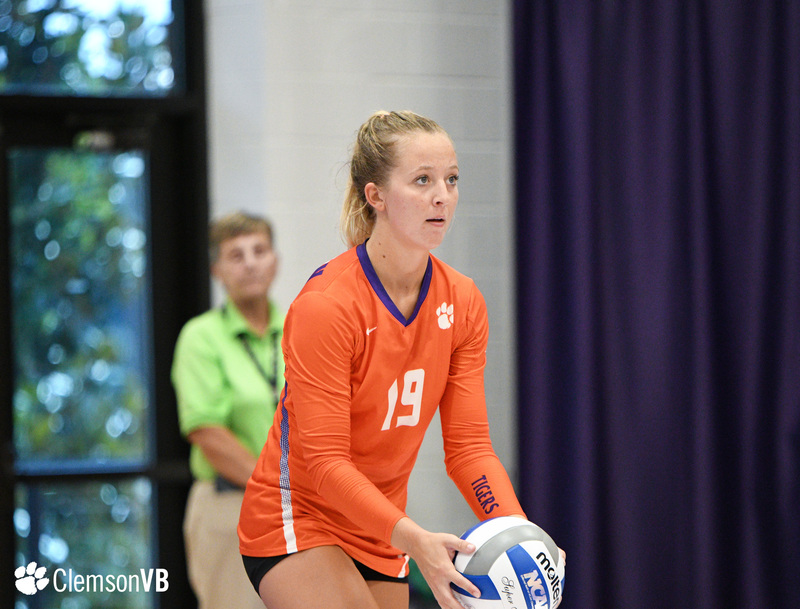 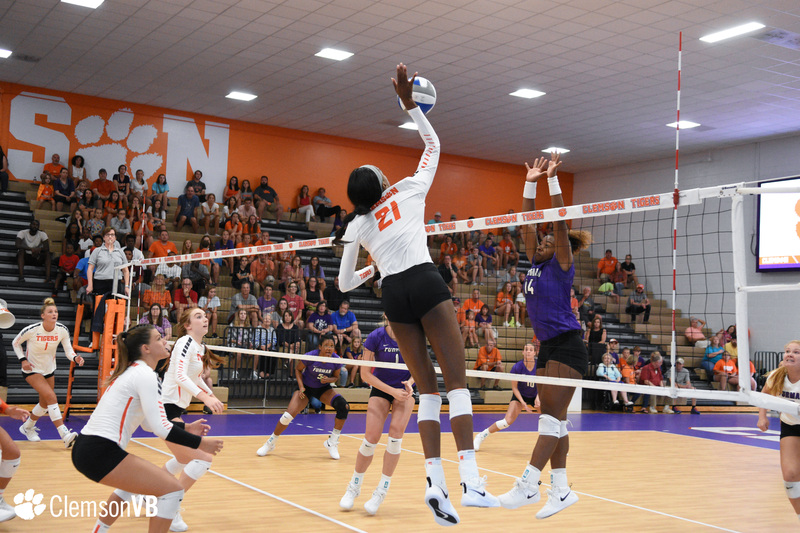 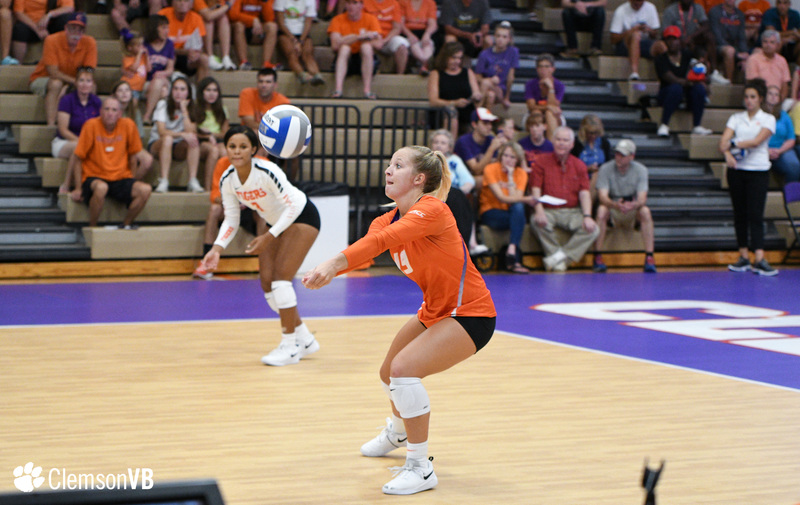 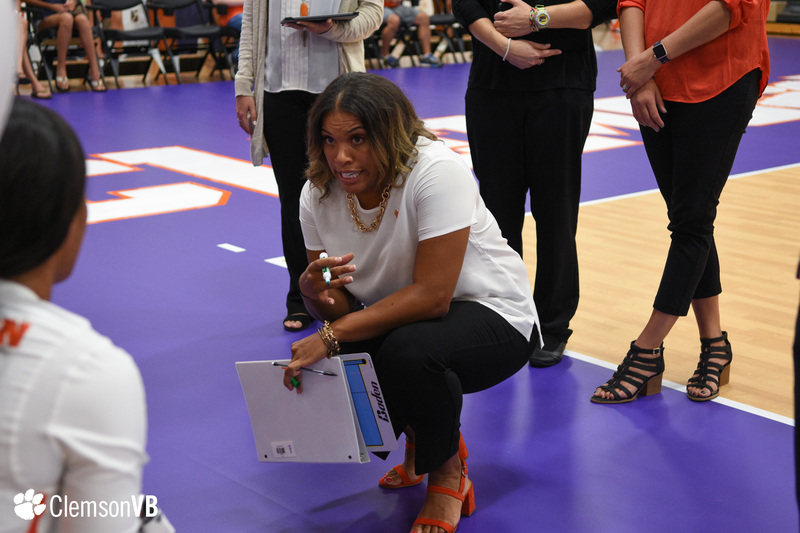 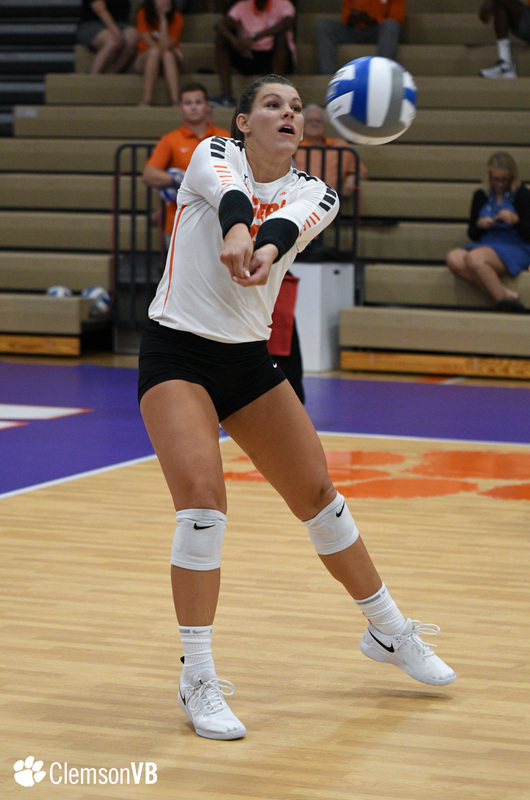 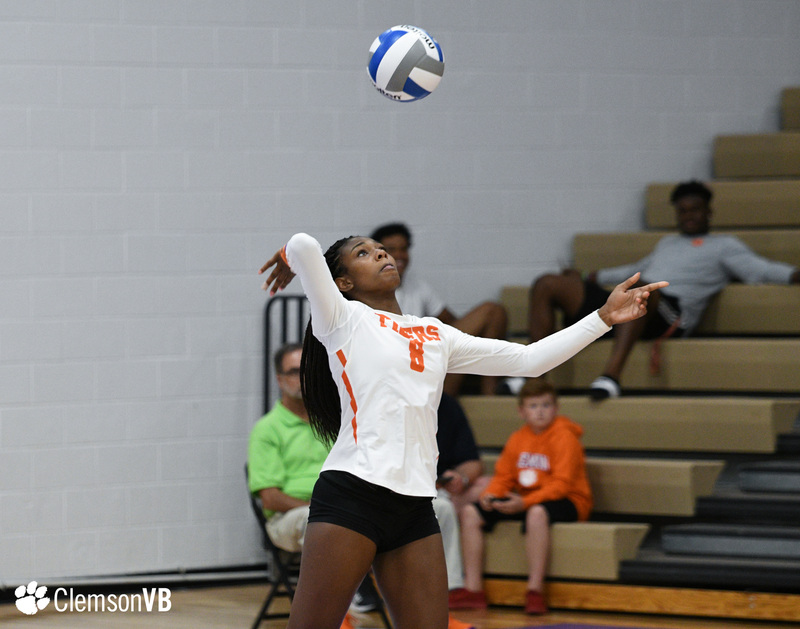 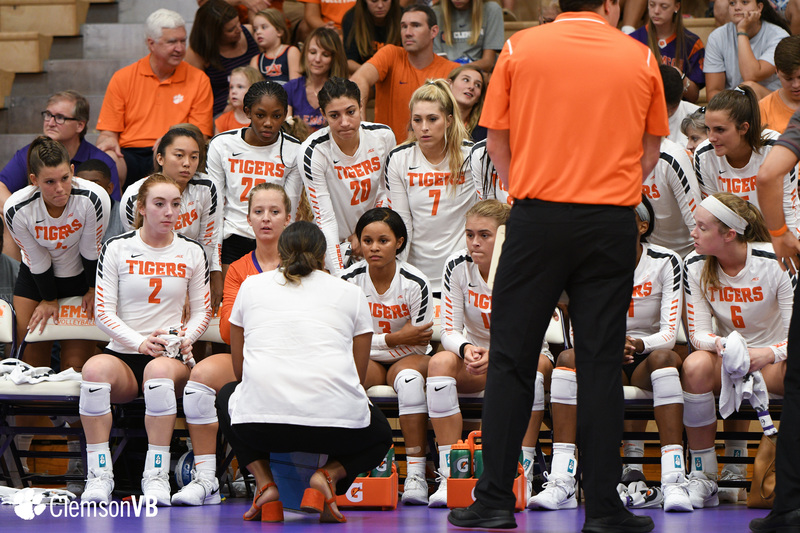 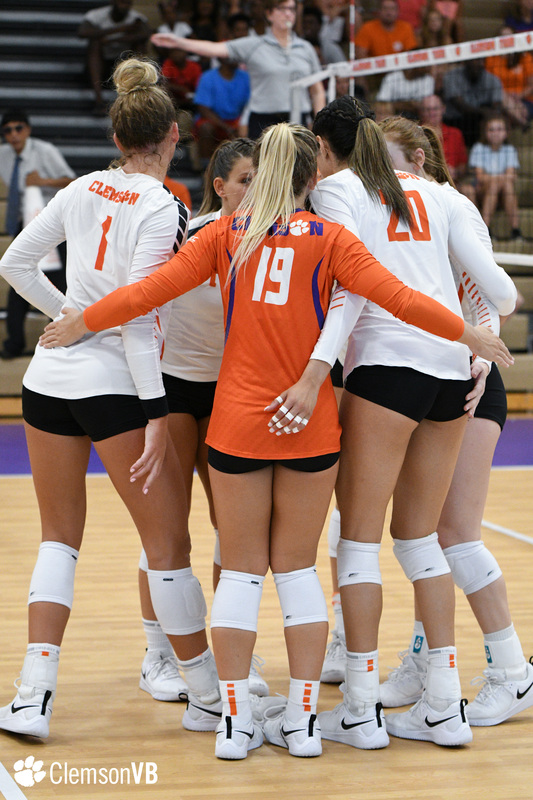 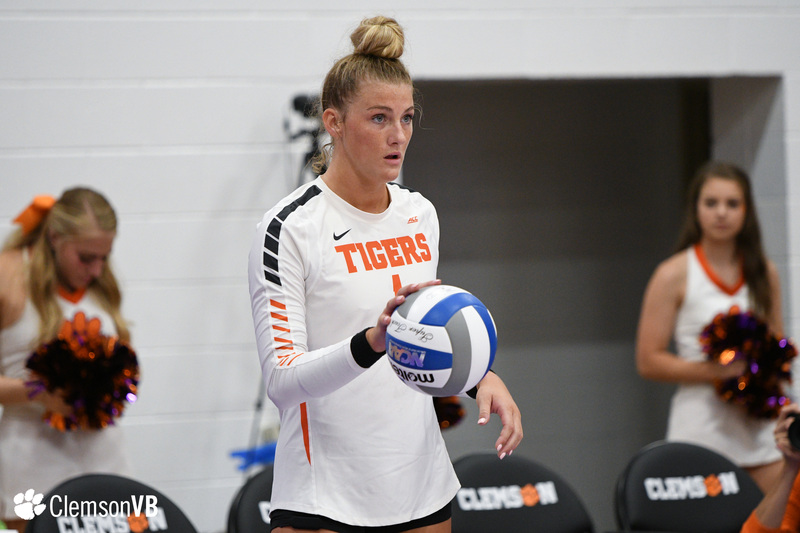 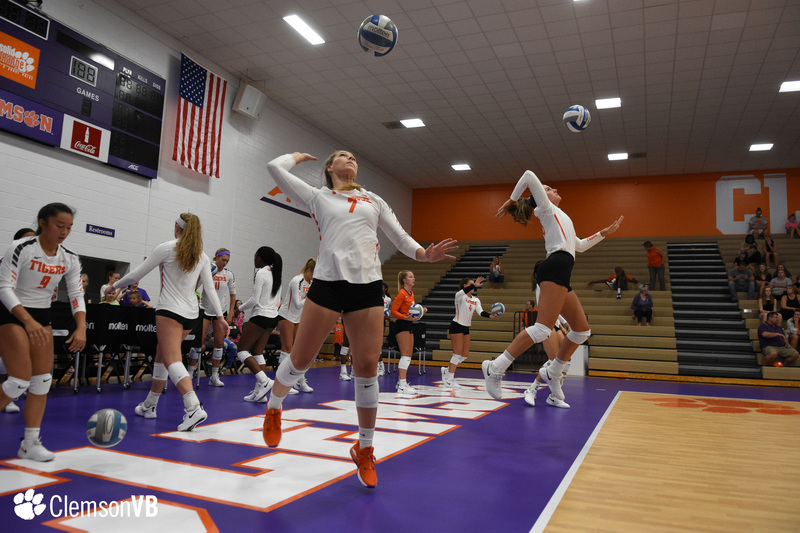 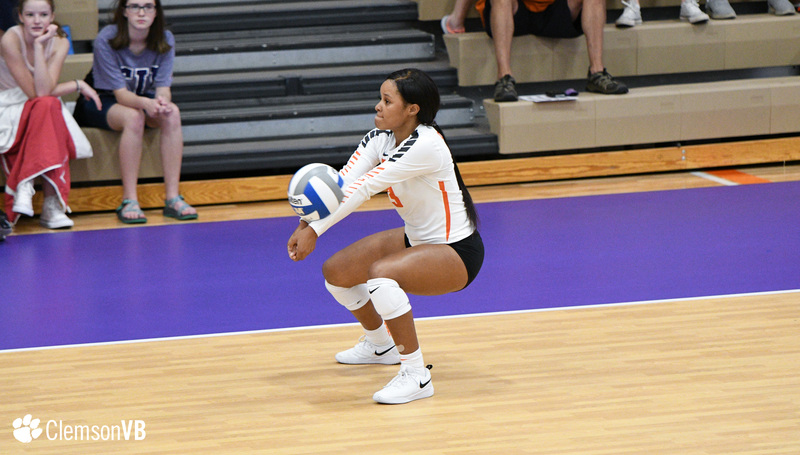 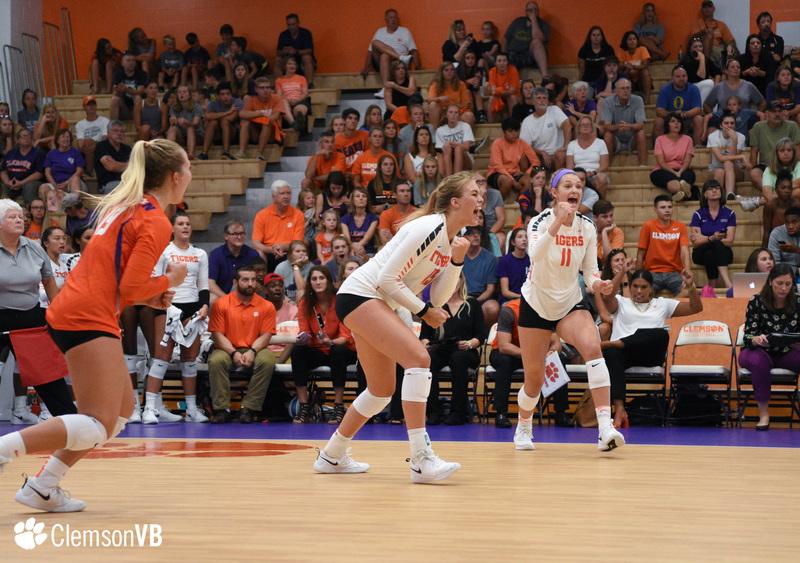 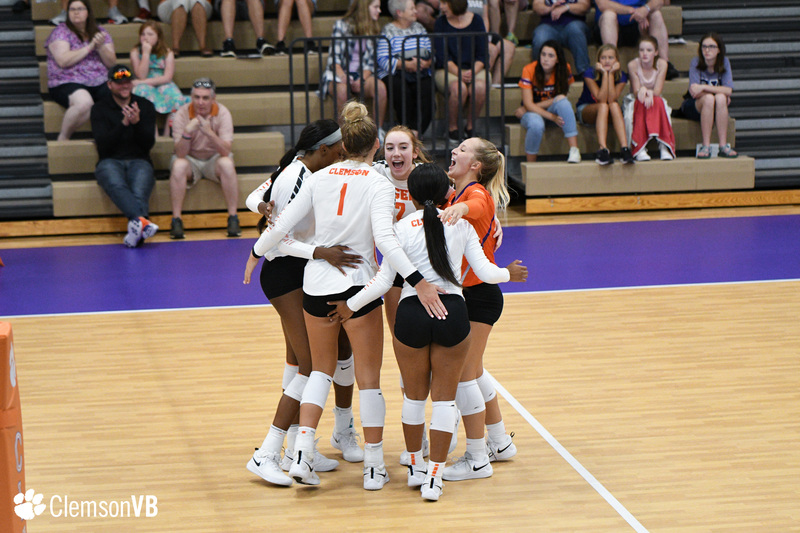 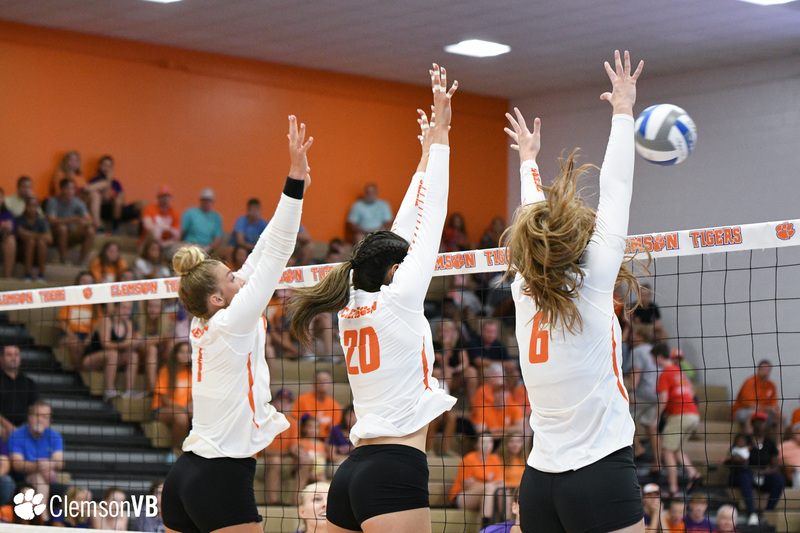 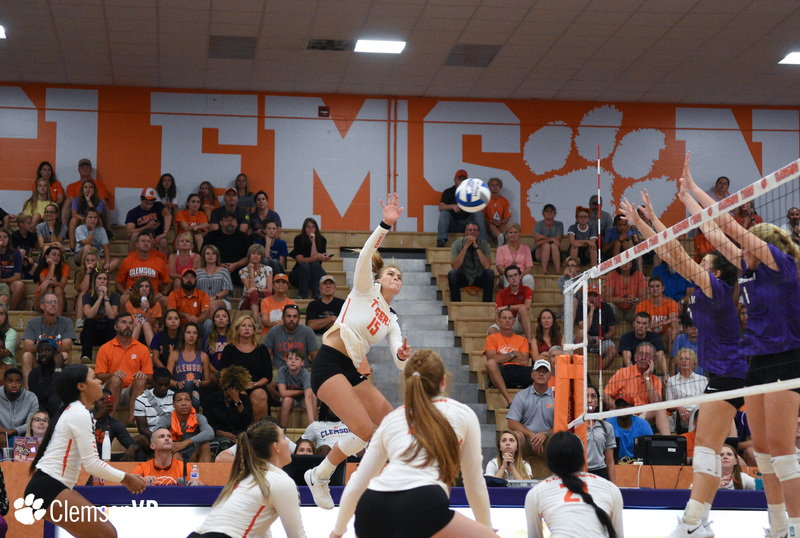 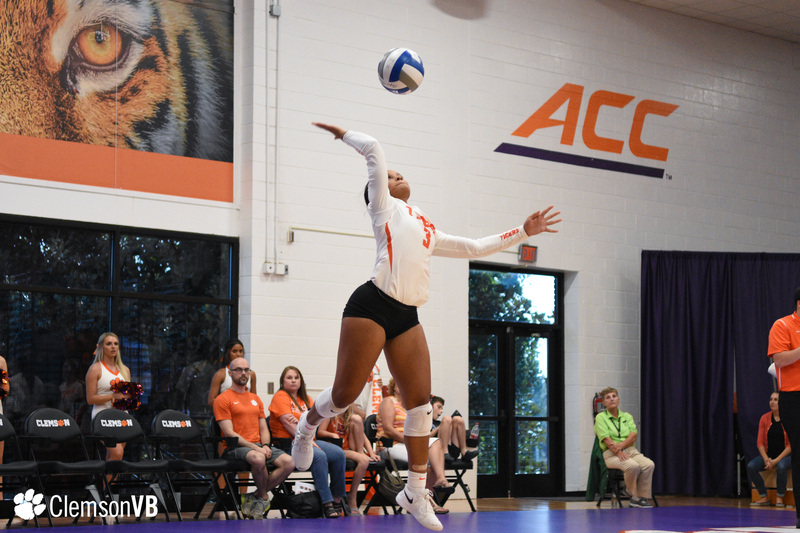 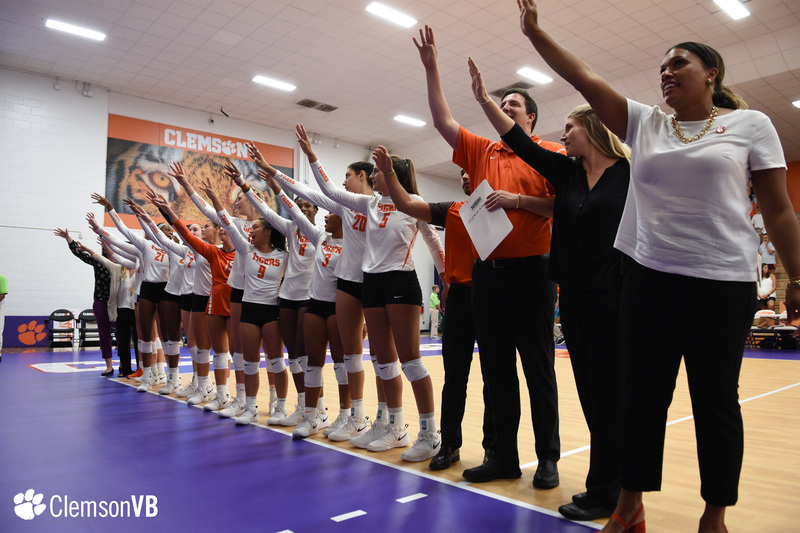 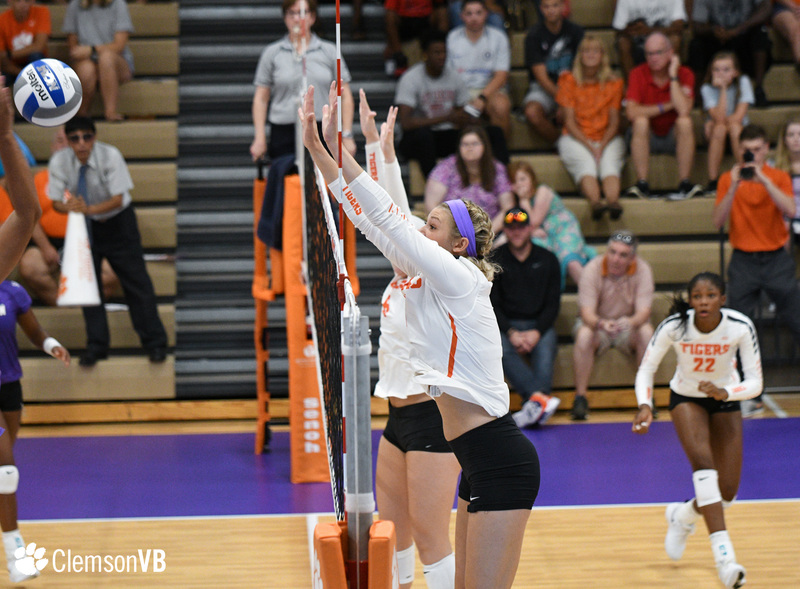 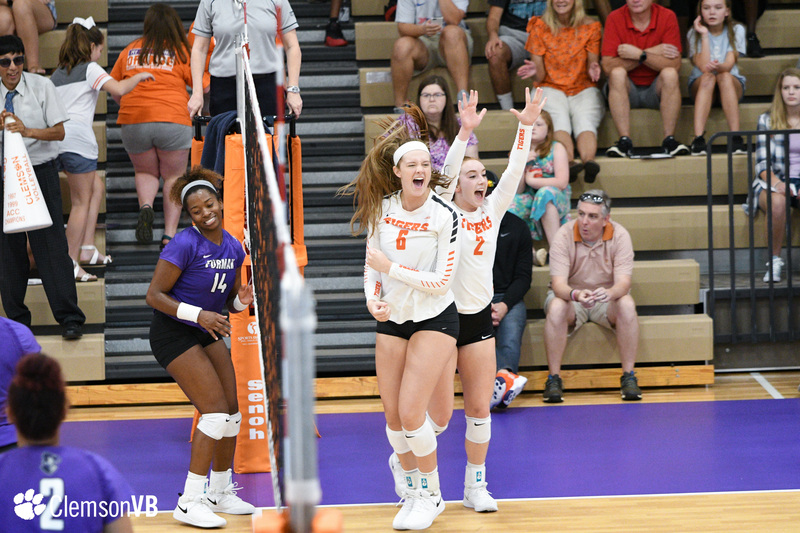 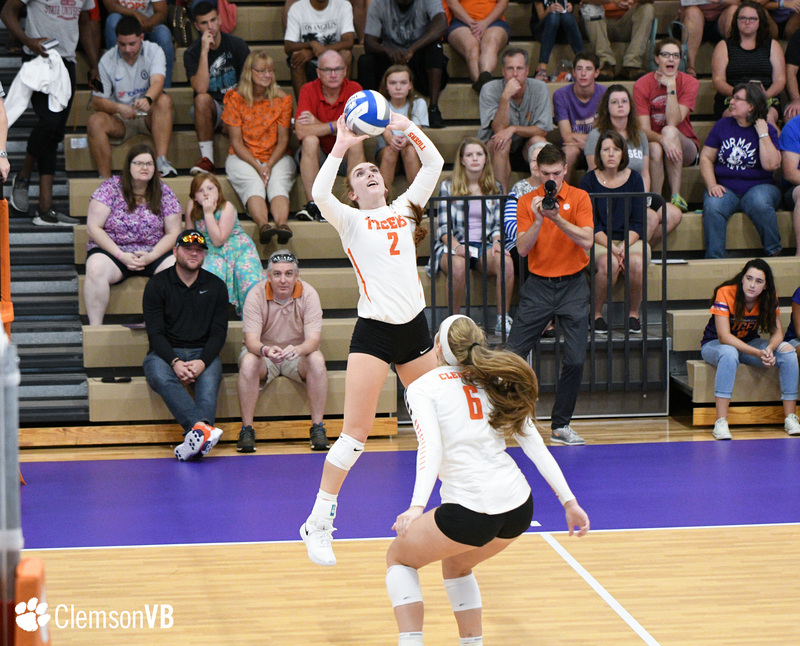 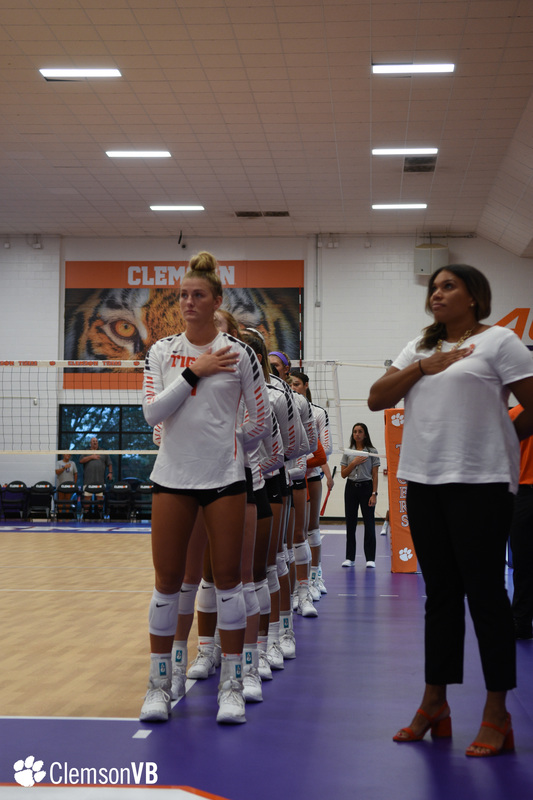 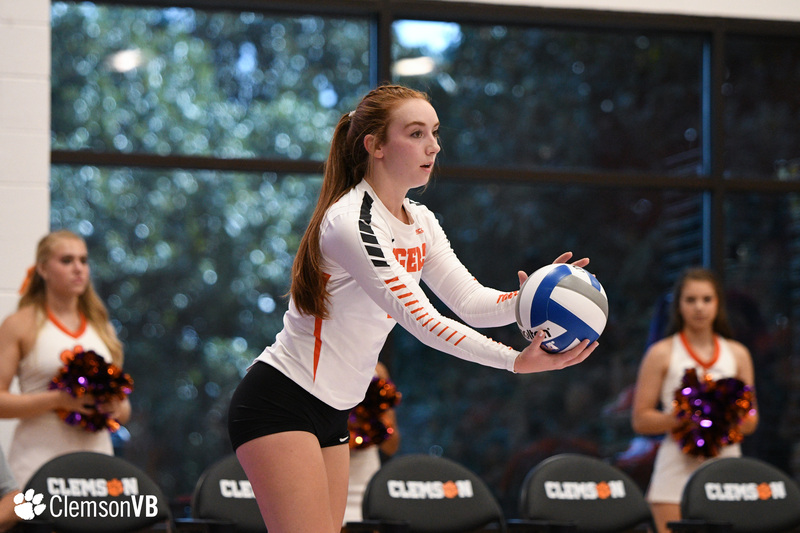 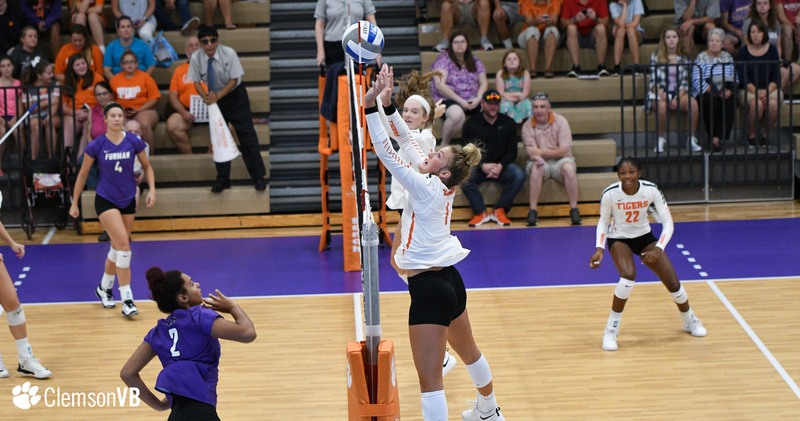 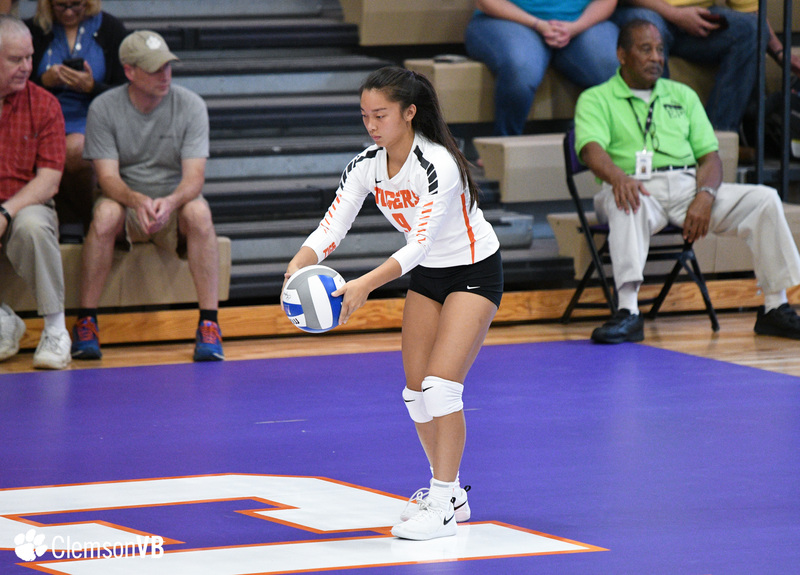 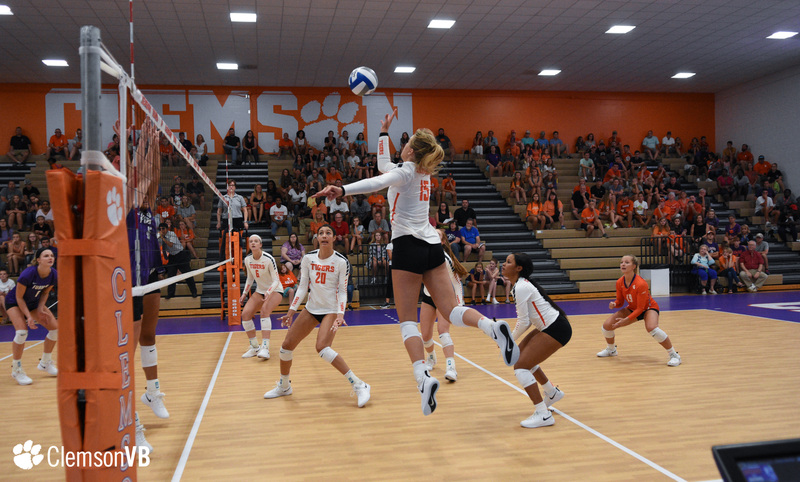 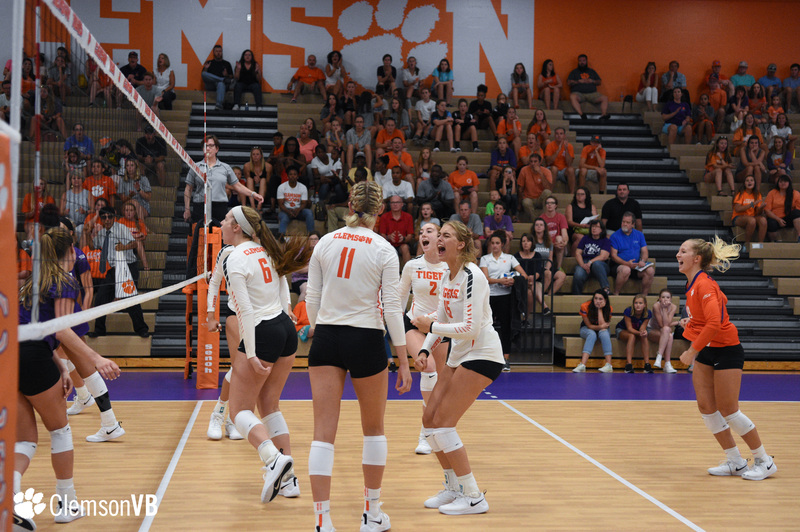 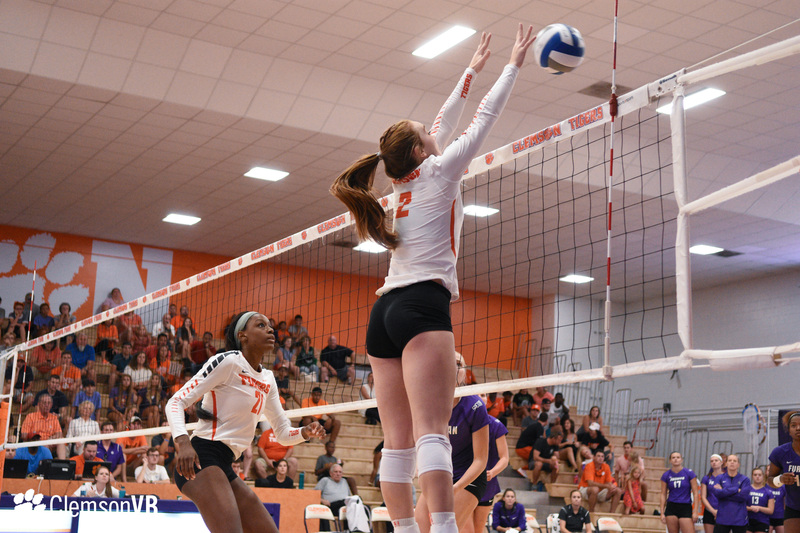 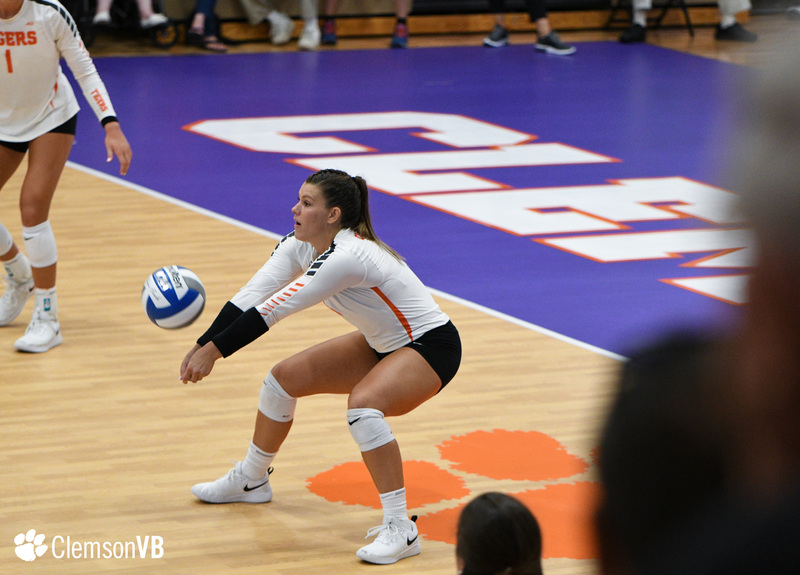 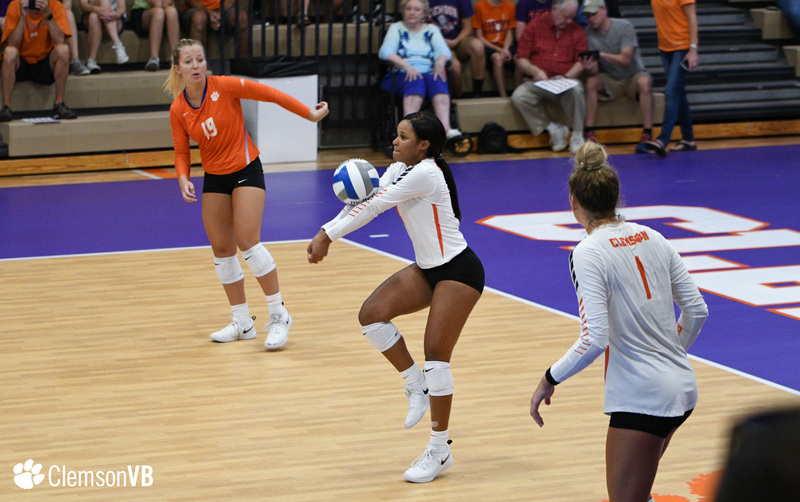 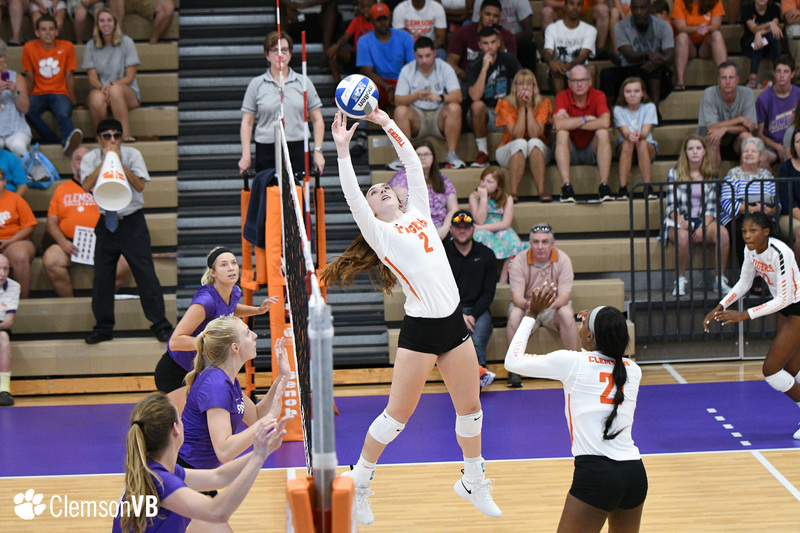 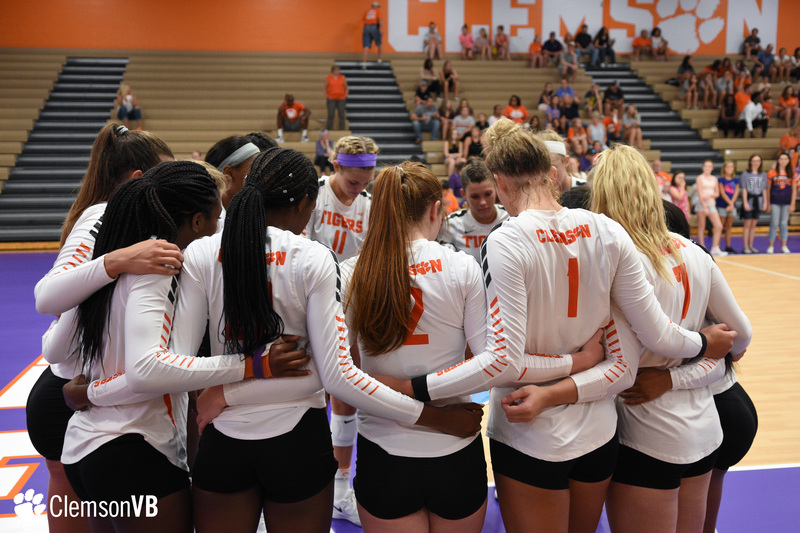 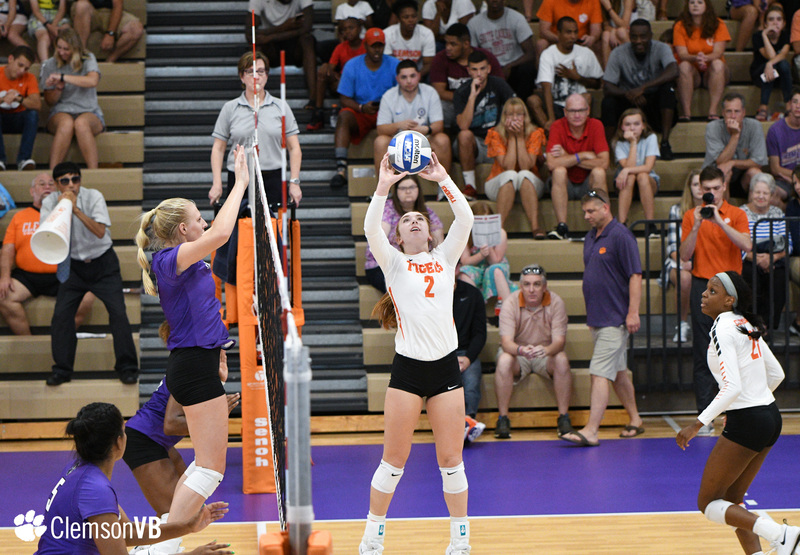 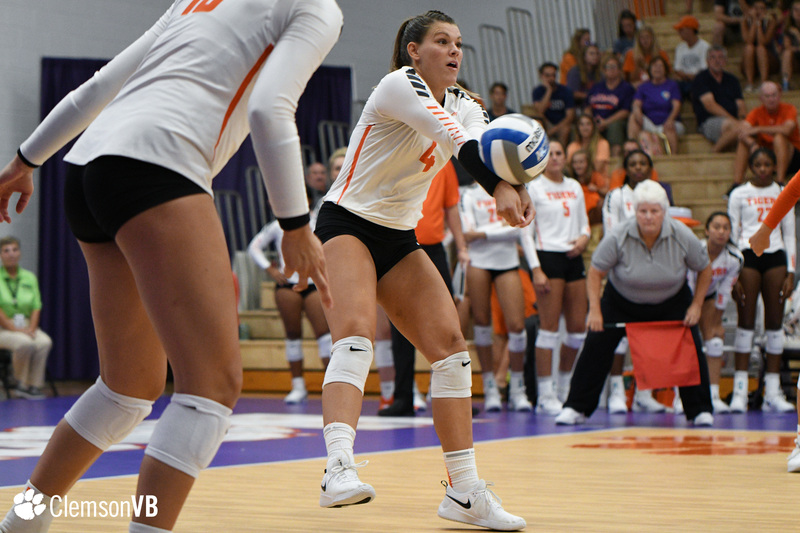 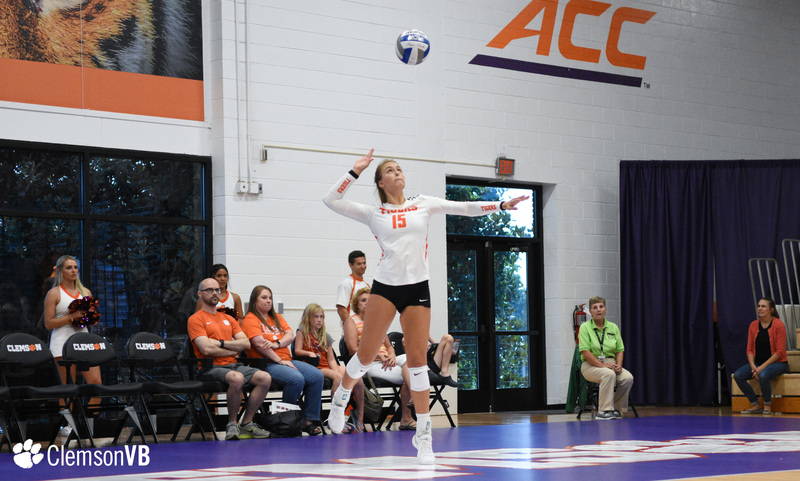 CLEMSON, S.C. – The Clemson volleyball team, led by second-year head coach, Michaela Franklin, defeated Furman, 3-1 (25-18, 25-23, 14-25, 25-18), in Jervey Gym Saturday. 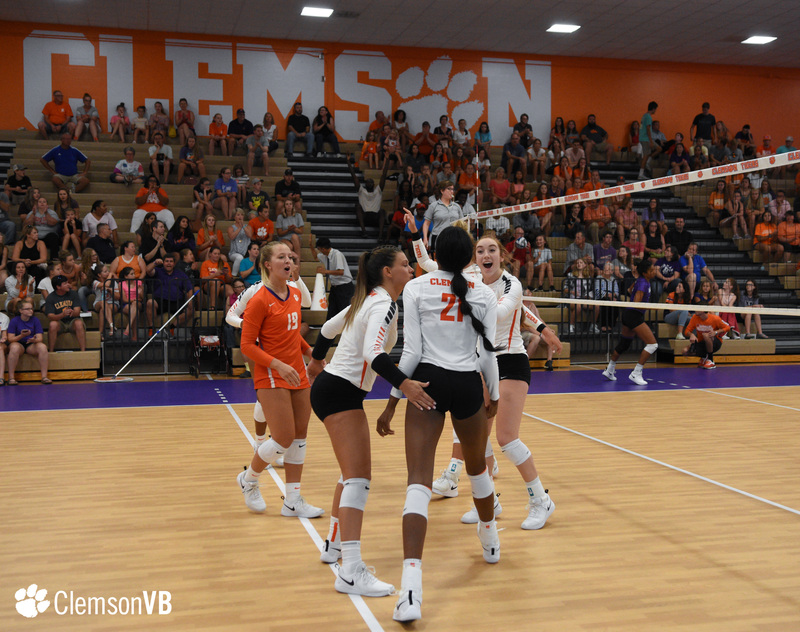 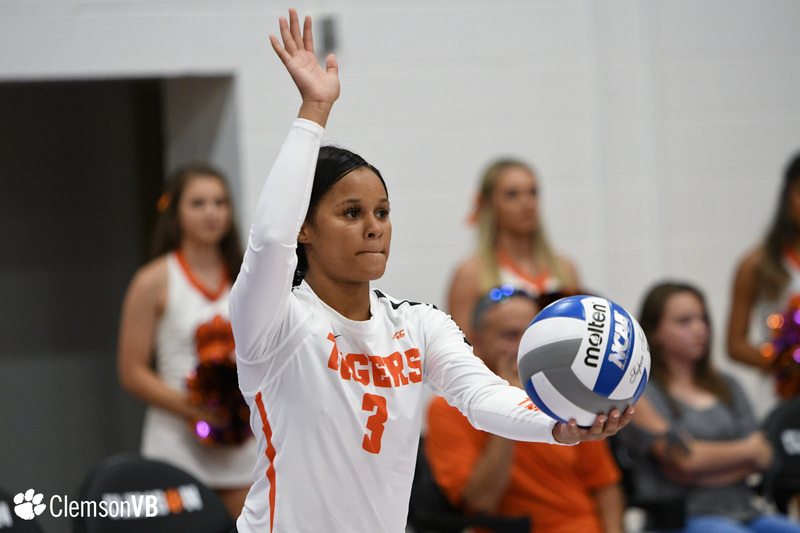 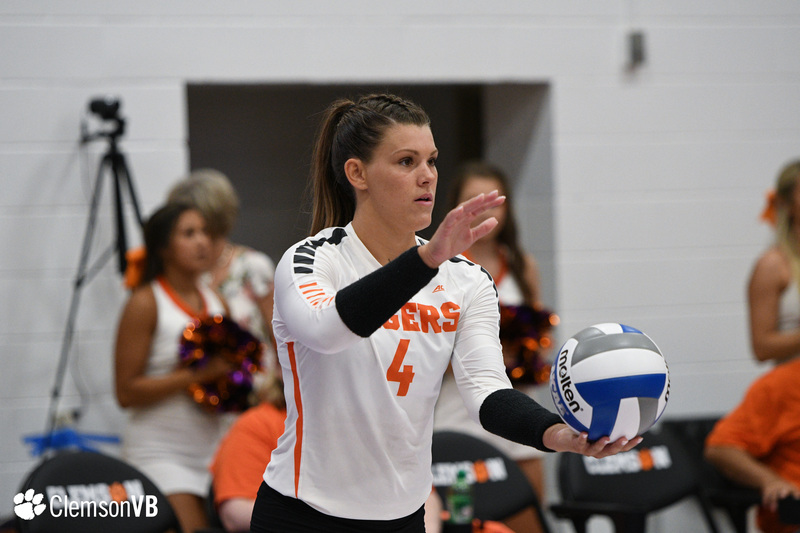 After going down early in the first set, the Tigers clawed their way back to claim sets one and two. 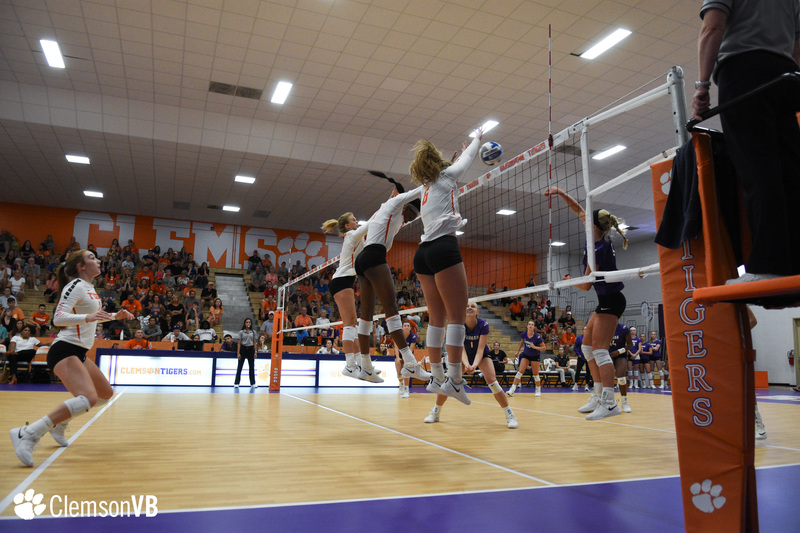 Coming out of the break, the Paladins responded taking the third set in their favor. 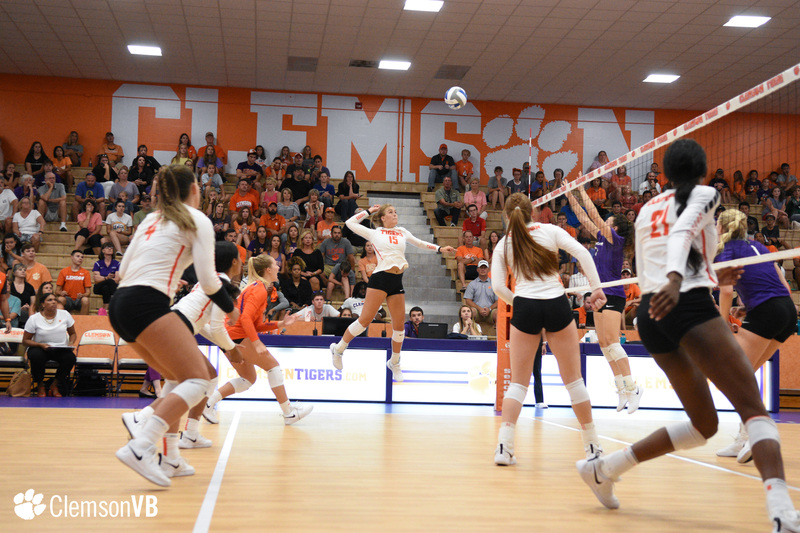 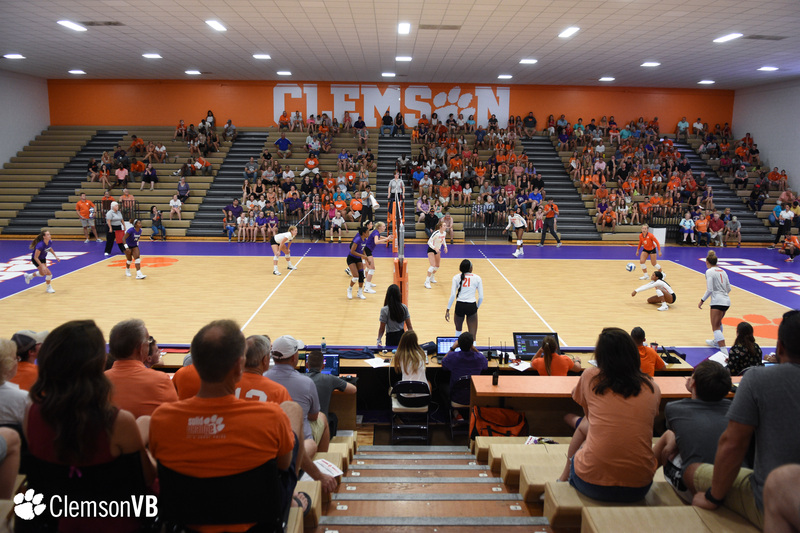 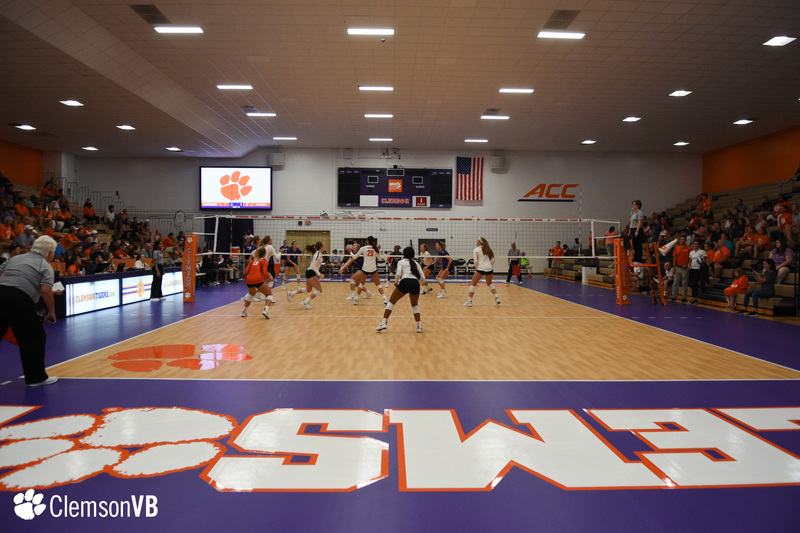 Clemson would make a late run in the fourth to seal the match in front of the Jervey crowd. 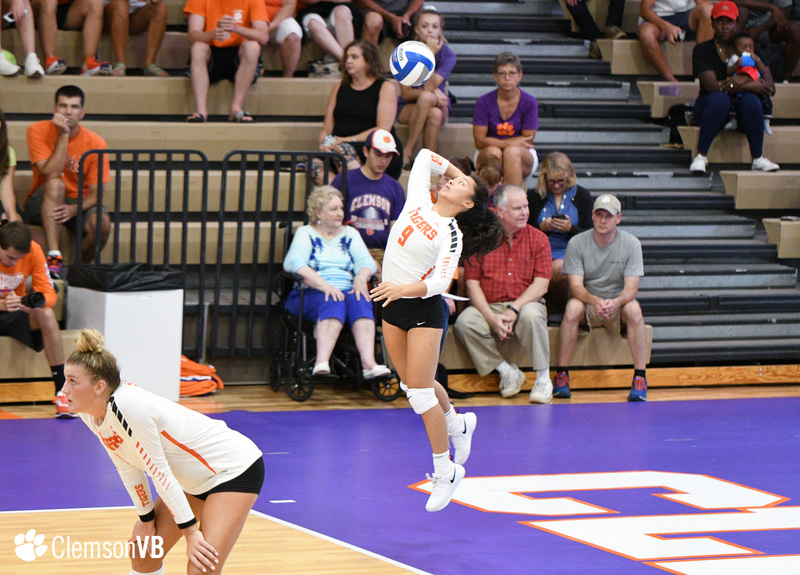 Up next, Clemson heads to Columbia, South Carolina for the Gamecock Invitational (Aug. 24-25). 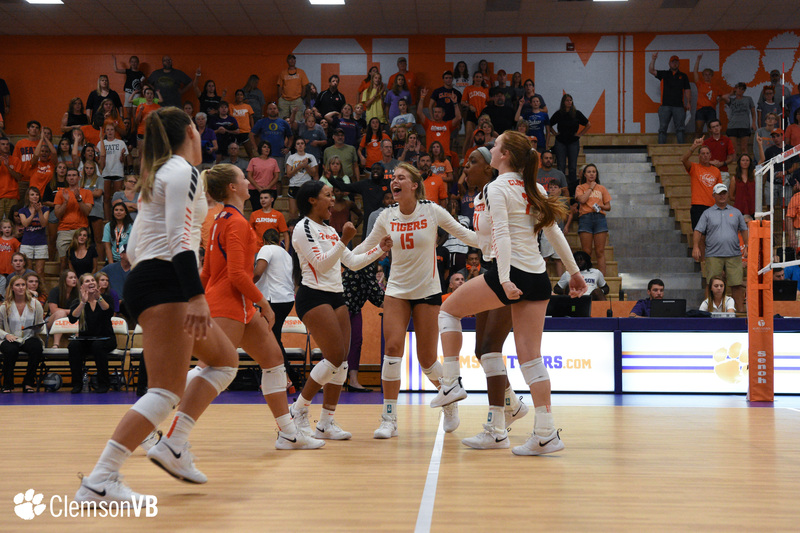 The Tigers open the 2018 regular season against the Bucs of ETSU Friday, Aug. 24 at 10 a.m. Saturday’s contest against South Carolina at 3 p.m., is set to stream on SEC+.